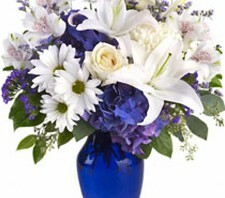 The Wishes & Blessings Bouquet is a stunning way to offer your condolences for their loss and commemorate the life of the deceased. 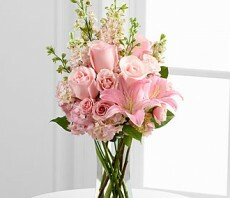 Soft pink roses, spray roses, Oriental lilies, hydrangea and larkspur are brought together in a clear glass vase to create an eye-catching display of soft serenity. 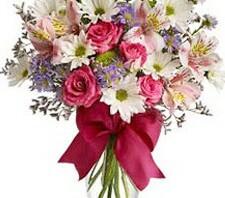 SMALL bouquet includes 13 stems. 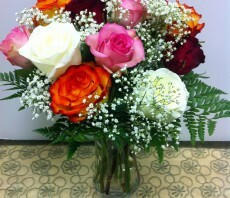 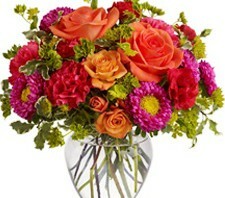 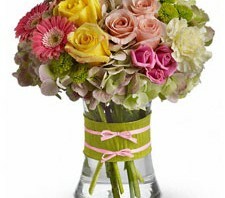 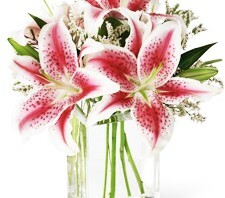 Approximately 20"H x 11"W. MEDIUM bouquet includes 16 stems. 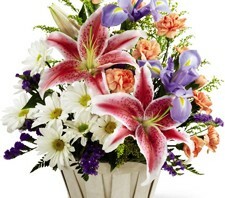 Approximately 23"H x 14"W. LARGE bouquet includes 21 stems. 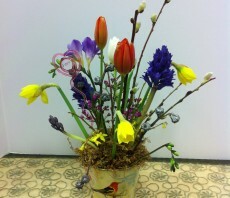 Approximately 25"H x 16"W.